Scott J. Bottoni is a graduate of Saint Bonaventure University. He has practiced before the New York State Workers' Compensation Board since 1989, and has been a Licensed Claimants Representative since 2000. 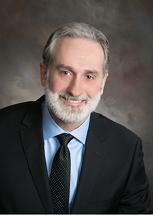 In total, he has more than 28 years of thorough experience in Workers' Compensation Law. Scott has a far reaching background into all aspects of the law, from both a defense and claimant's perspective. This knowledge is an invaluable tool in his daily pursuit of benefits on behalf of hard working Western New Yorkers. He is committed to providing injured workers diligent and knowledgeable representation.